TAIPEI - The Voice Of China judge Harlem Yu has literally gone bananas, as he confirms his romance with newscaster Jinny Chang, his first relationship six years after his marriage to singer Annie Yi ended, said Apple Daily. After Chang, 40, was reported to have to spent 13 hours in his studio in Taipei one recent night, Yu, 54, did not deny rumours of a romance, said the newspaper. Instead, his agent said on Wednesday: "It's good to have friends. Thanks for your concern." On Weibo, Yu did not shed more light on the romance but sounded upbeat, said the newspaper. 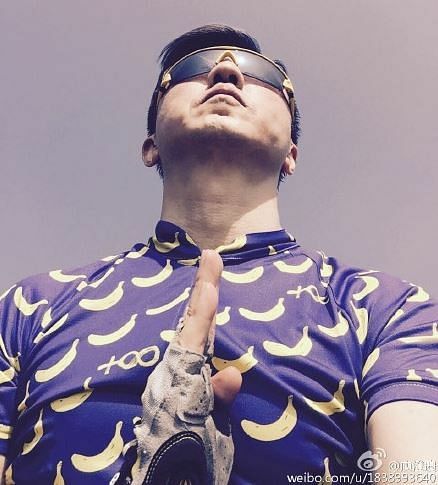 He posted a photo of himself in purple banana-print cycling gear, which he jokingly alluded to as his armour, possibly against the media attention. "Invulnerable to all attacks! Refreshing!" he wrote. He and Yi announced their divorce in 2009. They have a teenage son. Yi married Chinese actor Qin Hao last year. Chang is an English-language newsreader on Taiwan's FTV.